Ripley-8 is the most successful clone of Ellen RIpley that scientists aboard the USS Auriga were able to create with a full queen embryo inside. The clones were created using DNA and blood samples from the Fury-161 complex, and the results were an alien/human hybrid. 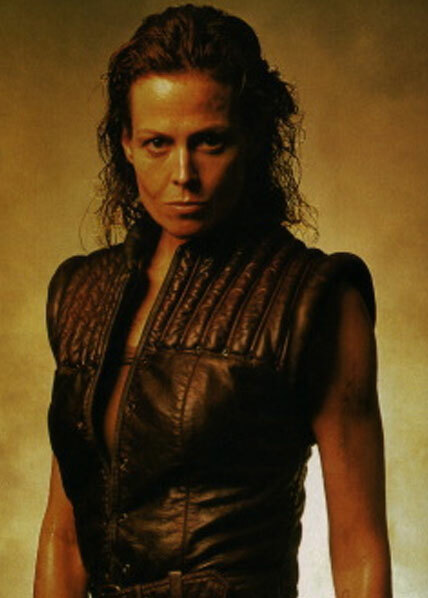 She inherited genetic memories of both the original Ripley as well as the alien, and had slightly acidic blood. Unlike the original RIpley, she was cold and distant, and seemed to care very little about the humans or aliens on board. The memories of her Ripley side were often fragmented, though she shared a psychic link of sorts to the aliens. Due to the cloning process that created her, the Ripley-8 clone has a less potent acid component in her blood. As a character she can use this as a weapon in close quarters to improve her attack ability. For games that are using doors/barricades, the Ripley-8 character may use the acid as a way to bypass or open locked barricades. On any turn in which a character is using actions to open a door, Ripley-8 (if in an adjacent square) can spend one action rolling one die, on a roll of 0, the acid in her blood hits a sweet spot in the barricade and the amount of turns left to open the door is is halved. She can perform this action each turn that the door remains locked.